The Daily Swatch: New Shades of ColorPots from Performance Colors! New Shades of ColorPots from Performance Colors! Towards the end of this past summer, I posted a review of the ColorPots cream eyeshadows from an Etsy store called Performance Colors. At the time, there were 33 colours to choose from, and recently Performance Colors has released 5 more colours! I purchased all 5 of these colours in sample sizes for $5 USD. These are what the back of the samples look like. I like that they're clear so you can see the colour. A label has also been added with the name of the ColorPot. This photo has picked up mainly the brown in this colour, but in person it is more pink than brown. The colour is more accurate in the swatches photographed at the end of this post. A sheer baby pink colour. An olive green colour that has a green-brown duochrome. In the above photo, you can kind of see the green-brown duochrome of Underworld. Winter Palace was washed out by the flash, but that was the fault of my camera. A more accurate representation of its colour is the swatch in the photo taken without flash. My favourite colour out of these five is Emerald City. I've really been into emerald and deep green colours so this instantly caught my eye. It's also unique in that I haven't seen an emerald green cream eyeshadow before that is not only deep, but also quite green. 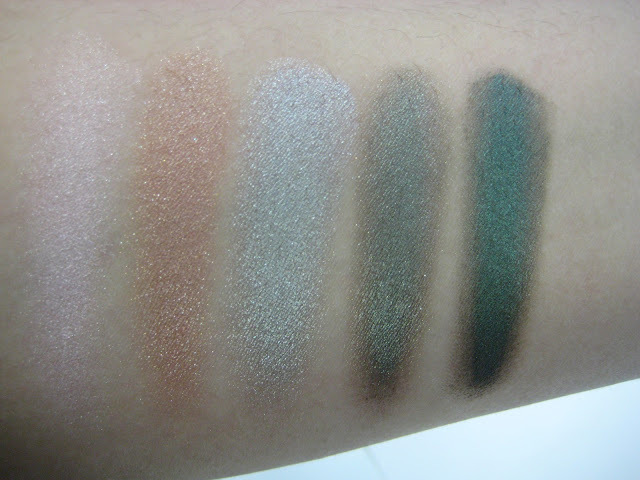 ColorPots are very pigmented and work as a primer to keep your eyeshadows from creasing. For maximum effect, try using an eyeshadow primer. Performance Colors has developed an eyeshadow primer, photographed below. Performance Colors was kind enough to send me this one to try out. The Lid Primer comes in a 5g jar. Click here to see the listing for the Lid Primer. A full review of this Lid Primer will be posted soon! For a full review of Performance Colors' ColorPots, check out my past review by clicking here. To visit the Performance Colors Etsy store, click here. Also coming soon, a review of the Performance Colors Restorative Lip Colors and Concealers! wow love them i need to try them i will order emerald city, oil slick , sage sparkle, champgane, steel orchid, it's better than buy one eyeshadow from drugstore.